We have experiences that will get your heart racing and your palms sweating! From bungy jumping to sky diving to white water rafting, our extreme sports experiences is sure to impress even the bravest daredevils. Extreme sports are all about getting your blood pumping and bringing out your inner daredevil as you tackle some of New Zealand's most amazing extreme sports. Spend the day white water rafting on Kaituna River with experiences suitable for adventurous beginners. If you're checking out the south island, you can't go past our awesome Queenstown activities. Renowned for its extreme sports, there's no better place to try some pretty incredible adrenaline-fuelled experiences. Take on the shotover canyon swing extreme experience to get your adventure fix with a fall from 109m above the shotover river. If you want an extreme sports that's not for the faint hearted, then bungy jumping is definitely for you. Tackle New Zealand's highest bungy jump and canyon swing with the Queenstown nevis bungy and swing combo. There are plenty of more extreme sports to do in New Zealand that aren't for the faint hearted. 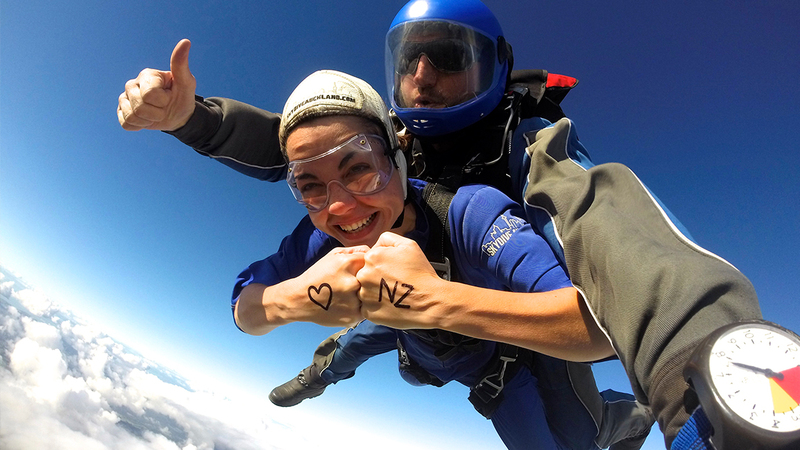 Feel the intensity of a free-fall at 200kph with the tandem skydive in Auckland. But don't worry, if heights aren't your thing but you still want to tackle an extreme sports experience, we recommend doing a jet boating experience. Ride on the world's most famous jet boats with the shotover river jet boat ride, but you'll have to hold on tight for a series of extreme manoeuvres! It wouldn't be a visit to New Zealand complete without experiencing some pretty amazing and unique extreme sports.